"Rama" - In all it's screen splendour! The famous Cinerama logo - the mother of all modern "ramas"
In 1959 Roger Shaheen transformed a 300-car parking lot at Salisbury Beach, Massachusetts into Fun-O-Rama, where generations of children and adults found amusement until 1990. Ironically, the site is now a parking lot. Chuck-A-Rama: a chain of buffet-style restaurants based in Salt Lake City, Utah. From Wikipedia: "Chillerama is an upcoming 2011 horror comedy anthology film consisting of four stories (or segments) that take place at a dusk 'till dawn monster movie marathon in an old school drive-in in Southern California. Each segment are homages to a different genre and style. Filming took place in late 2010 and is scheduled to be released in late 2011." Bubbles, one of the aquarium fishes in the Disney/Pixar-film "Finding Nemo", explains that he was bought at a pet store named "Fish-O-Rama". You've got a "Striporama" image in your 2008 "Rama" listings; it's a newspaper ad for a film in the process. Attached image is the front of a theatre (thought to possibly be in Chicago, USA) with something in the process, and some associated local people involved in some somewhat bizarre life on the street. Old photo, probably from circa mid-1950s. "Suspenserama!". I found the attached ad on microfilm from 1956. Sadly, the film was somewhat mangled, but you can still make out that the movie was in "Suspenserama!" PS - I drive by the site of the old Sky-Vu almost every day on the way to work. It's less than a mile from where I grew up. "Vendorama": As advertised in the November 2nd, 1959 issue of The Billboard magazine. Wilmer Eduardo Valderrama is an American actor and television personality, known for voicing the character of Manny in the children's show "Handy Manny". Scout-O-Rama: Invitation to 1954’s Scout-O-Rama in Santa Monica, California. Futurama: The NY Daily News reports on a new design project that imagines how Manhattan will look in 2030. 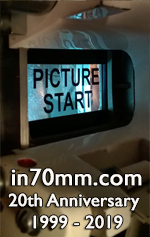 Poster found here on Cinema Masterpieces. Kulturama, a new television programme KULTURAMA has launched the Czech TV channel CT24. Perhaps it might enrich you rare collection. When looking on internet I have found that there are more Kulturamas around Europe. So, this name is not quite original. found 23.02.2011 by Stanislav Novotný, Czech Republic. Dance-O-Rama. Full-page ad in the October 15, 1955 issue of Billboard magazine promoting Decca Records’ series of Dance-0-Rama albums. see 2008 "Rama" - In all it's screen splendour! see 2009 "Rama" - In all it's screen splendour! see 2010 "Rama" - In all it's screen splendour!